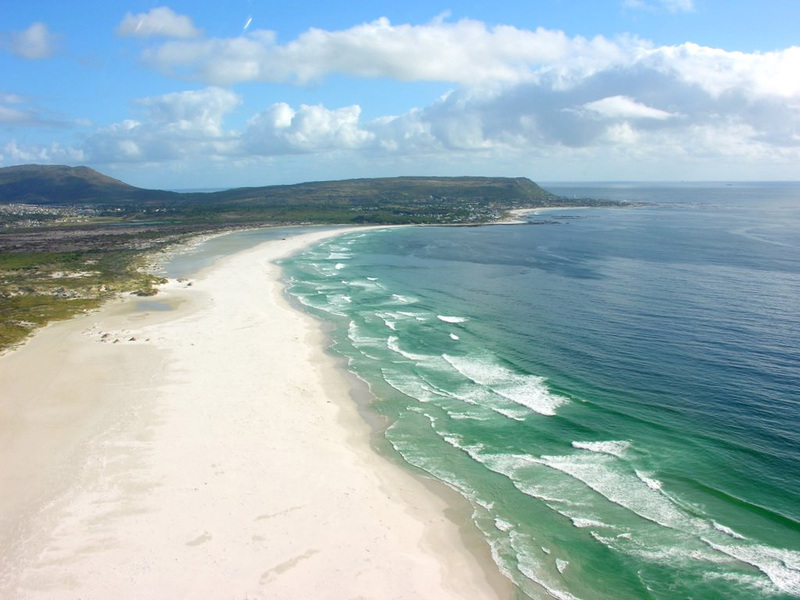 If an expansive white sand beach is what you’re looking for, Noordhoek Beach near Cape Town, South Africa can’t be beat. 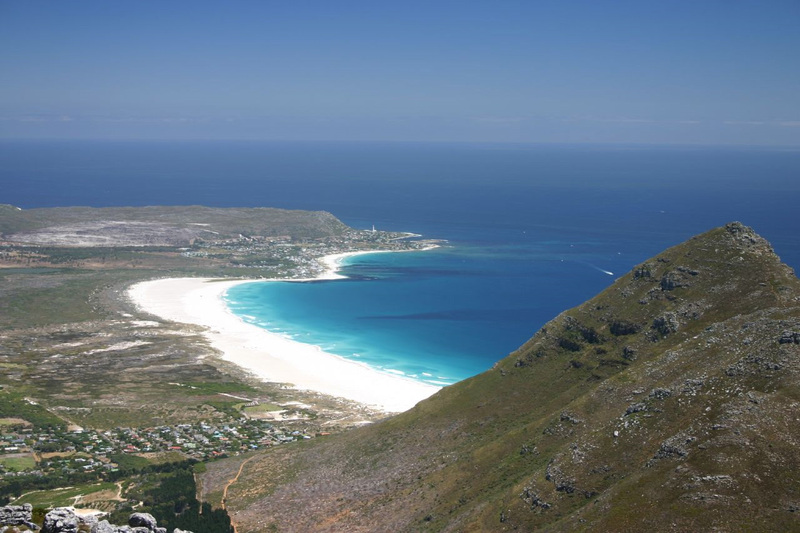 Only 35km (22 miles) from the center of Cape Town, Noordhoek beach is ideal for walkers and those seeking a horseback ride on the beach. 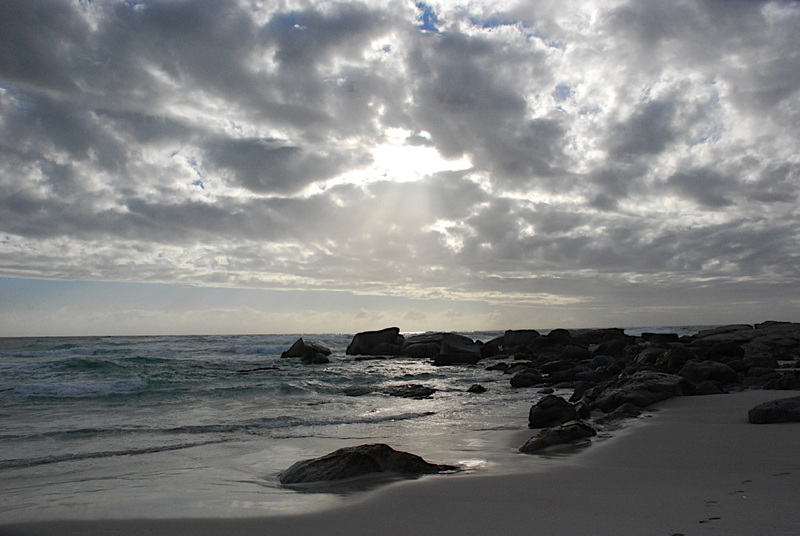 The beach is fairly isolated and lacks development so swimmers and surfers should use caution in the water. 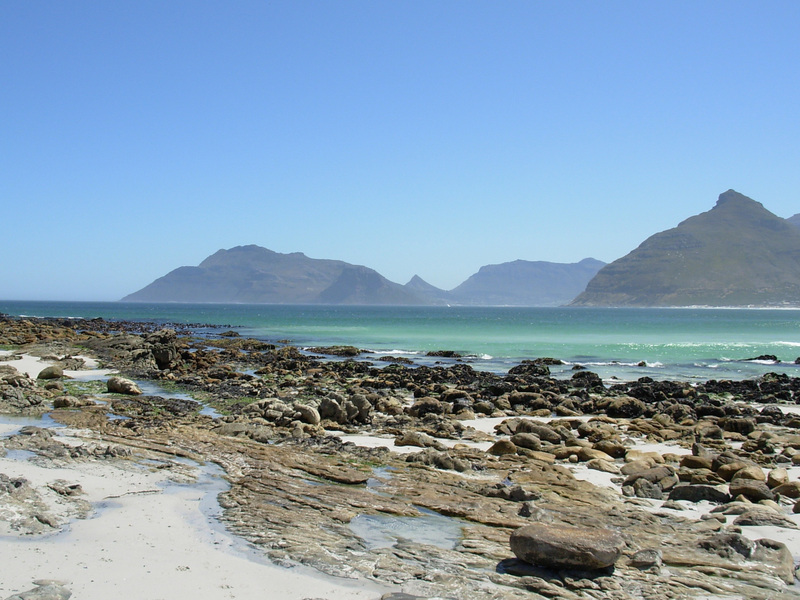 There are a couple restaurants near the beach, but for accommodation your best bet will be in Cape Town proper. 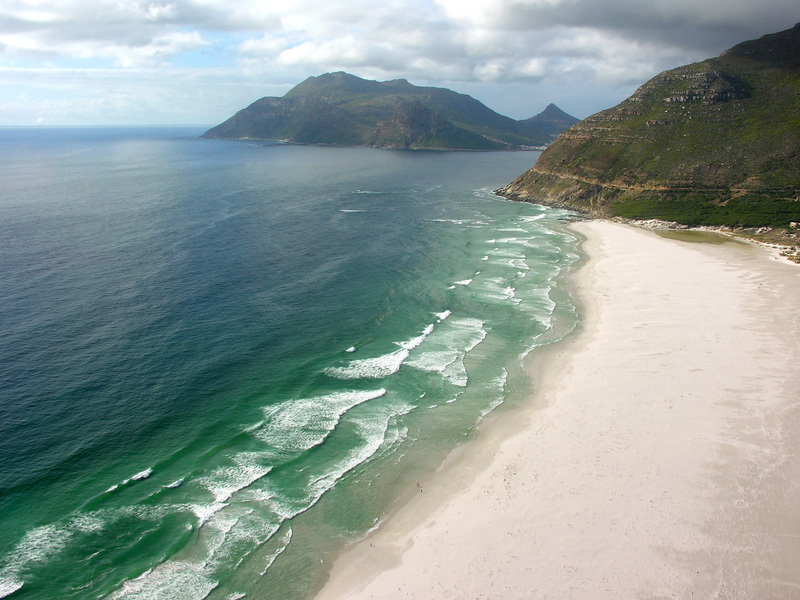 A gorgeous view of the beach can be had from the top of nearby Chapman’s Peak. That place is AMAZING !! You have a very beautiful view on the sea, and the sand is really soft. This is the best place that I have ever been to. TRY IT !! 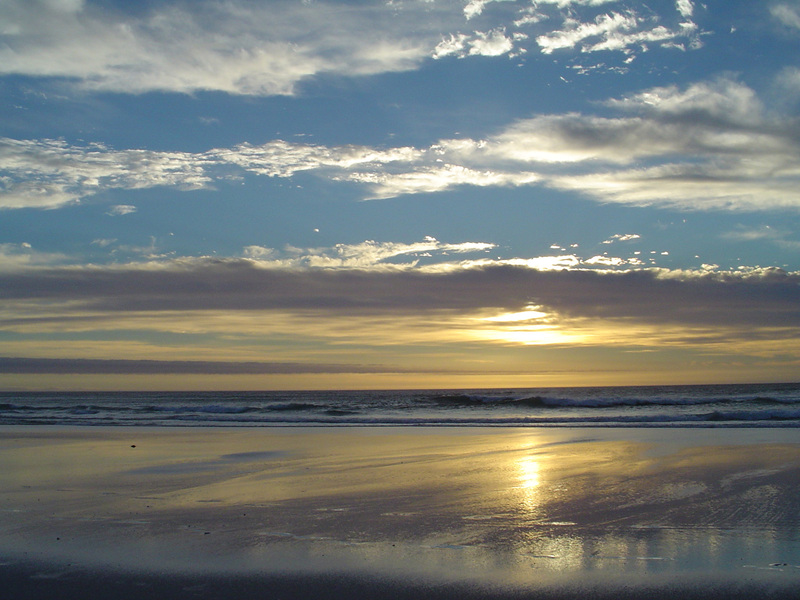 Long Beach Noordhoek is one of the most popular attractions of the southern Cape Town peninsula, It’s long expanse of clean white sand attracts many who just enjoy walking and watching the many varieties of sea birds, not to mention the shy Cape otter that may be found in the estuaries that open from the Noordhoek lakes. Long beach is a popular venue for wedding photographs taken with the spectacular, colorful sunsets as backdrop.